Prof. Dr. Ahmed Yousif Ahmed Al Draiweesh is one of the most outstanding scholars of Islamic studies who has made his mark not only in the academic world by his path-breaking scholarship and research but also as a renowned public intellectual. With his longstanding and rich experience as a university teacher and his articulation of the most cherished values of Islam, Dr. Al-Draiweesh is regarded most highly by his peers in Saudi Arabia and the Muslim world. At a time when Islam is being portrayed as a religion of extremism and violence, Dr. Al- Draiweesh’s writings have played an important role in presenting Islam as a religion of peace, tolerance and universal brotherhood. Contrary to such divisive notions as the “clash of civilizations”, “inevitability of inter-religious conflicts”, Dr. Al-Draiweesh envisions a future of inter–civilization dialogue and a peaceful co-existence among the followers of different faiths. In this context, his contribution toward building bridges of understanding, harmony and tolerance among different schools of Islamic thought and sects has also been seminal and has been greatly appreciated by Muslims around the world. 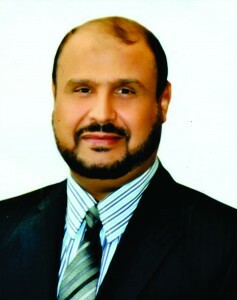 Besides his work toward creating religion–political space for understanding between Islam and other religions and intra-Muslim tolerance and harmony, Dr. Ahmad Yousif A. Al-Draiweesh has been most productive in exploring new methodologies of the application of traditional juristic (fiqhi) rulings to the often complex issues of modern times. Few Islamic scholars of jurisprudence have ventured into the field with such a creative genius as has Dr. Al-Draiweesh. This is especially evident in his creative methodological insights into applying Sharia norms on issues such as citizenship, politic obligation, death penalty, prisoner’s rights, public finance and religious endowments. His most important contribution, however, in modern jurisprudential (fiqhi) development has been in such fields as water preservation and environmental protection from an Islamic perspective. Drawing on the textual sources, (the Quran, Hadith, the juristic formulations) as well as on evidence from Islamic history, Dr. Al- Draiweesh has emerged as one of the very few Islamic scholars in the world to have drawn our attention to the world-wide problem of environmental pollution and our responsibilities as Muslims and citizen of the world to be seriously engaged with them.